Tis the season of big launches. In about two days, the new Steve Jobs Amphitheatre at Apple’s spaceship-shaped office will be bustling with journalists and analysts and people all over the world will tune in to the live stream to witness the launch of yet another iPhone. In its eleventh year now, the iPhone launch has been the tech community biggest event and this year, it’s no different. Rumours and leaks about the upcoming iPhones have been coming ever since the launch of the previous one, and come September 12, the mystery will all be over. Almost a month later, Microsoft will unveil its Surface lineup of devices at an event in New York on October 2. The Redmond giant has sent out invites for the same and many are presuming there will be more than just new hardware. Just a couple of days later, Google intends to send the world into a frenzy with the Google Pixel 3 and the Pixel 3 XL smartphones. Will Google be able to take smartphone low-light photography to the next level once again? With three back to back launches by the big three giants of tech happening in a span of a month, let’s sit back and take into account what’s coming. The new iPhones will set the precedent for the rest of the smartphone industry for the year to come, while Microsoft will yet again show how to best use its Windows platform and Google will aim to give the iPhones some long-deserved competition. The new iPhones are incoming on September 12. At 10:30PM IST, Tim Cook will take the stage to announce the new babies. This year, there are strong rumours of not two, but three new iPhones. Many presume they’ll be called ‘iPhone Xs, iPhone Xs Max’ and ‘iPhone Xc’. The iPhone Xs will tout a 5.8-inch OLED panel and will be the successor to the iPhone X launched last year. The design is expected to be more or less similar with Apple retaining the display notch. However, there will be a new gold colour option to choose from. The iPhone Xs is rumoured to bring improvements in the camera and performance. In that regard, Apple is expected to launch a new 7nm chipset that is likely to be called the Apple A12 SoC. There are reports that indicate the iPhone Xs will be start from $800, which means it will be cheaper than the current iPhone X. The iPhone Xs Max will take the iPhone X’s place as the halo device this year. 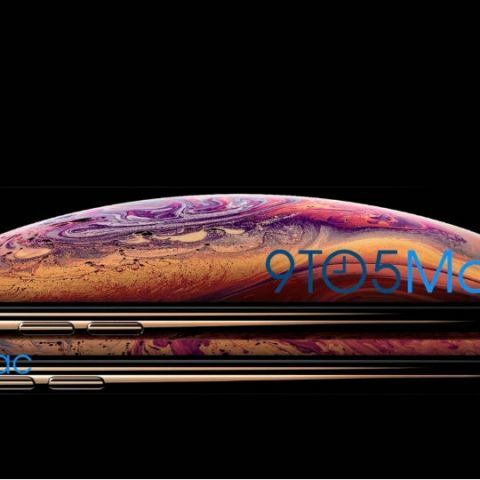 Rumoured to sport a 6.5-inch OLED display, the iPhone Xs Max will be the largest iPhone ever made, yet be similar in overall size to the iPhone 8 Plus. This too will be available in the new gold colour and is expected to be powered by the new 7nm chipset. Then there’s the 6.1-inch LCD iPhone that many are now claiming will be called the iPhone Xc. This will be the most affordable of the three and will have a single-lens camera setup at the back and be offered in a range of colour options. Apple will also announce the Apple Watch Series 4. The upgraded offering is rumoured to come with a larger display, about 15 percent bigger than the current offering. We could see a modified Digital Crown and based on the leaked schematics, there could be a microphone in there, to talk to Siri. Apple’s AirPower is still MIA, a year after it was announced. Maybe, that could make an appearance yet again. Then there are the new AirPods which based on reports, are apparently launching on the same day. AirPods 2 will reportedly be powered by Apple’s new wireless chip and could bring ‘Hey Siri’ commands for better controls. Some reports also state that Apple may announce new Macs and a new iPad Pro. Word around the internet is that Microsoft will refresh the Surface Pro and the Surface Laptop with the latest Intel 8th-gen processors and USB-C ports. Rumours also state Microsoft will launch a wireless ‘Surface Headset’. Microsoft will also announce the Fall update for Windows 10 along with a new version of Microsoft Office, Cortana, OneNote and more. There could be some gaming announcements as well with analysts claiming we could see Cortana-Alexa integration in Xbox. However, if you’re waiting for a radically new Surface Pro or Surface Book, the wait will likely be longer. Same with the Surface Hub 2. Google’s annual hardware event will see the Mountain View giant announce a new range of ‘Made by Google’ products including the Pixel 3 and the Pixel 3 XL smartphone and some more. What we definitely know is the Pixel phones will be refreshed with the latest Snapdragon 845 chipset. The phones have leaked left, right and center and we know even Google will embracing the notch, a big one at that. The Pixel 3 XL will tout two front-facing cameras and will bolstered by Android 9 Pie features. There won’t be much design changes apart from the display, but perhaps something new with the camera? The Pixelbook never made its way to India and the second installment might not as well. Nevertheless, Google uses the Pixelbook to show off the powers of Chrome OS. The previous Pixelbook made Chromebooks a premium affair, and featur-wise, reports claim the refreshed version will feature a fingerprint sensor, maybe a 4K display, and a LTE modem. Google’s pair of wireless earphones took everyone by surprise when Google announced it can perform language translations in real-time. It’s application has been questionable, yes, but that only makes the Pixel Buds 2 more enticing. The biggest improvement could come in the form of ditching the wires altogether, but I won’t be surprised if there’s an improvement in the audio quality. Smart displays powered by the Google Assistant were a thing in almost all the tech events like CES, MWC and IFA. We saw the Lenovo Smart Display come out in July. In October, there could be a Google branded smart display on offer. The Smart Display will potentially run on Android Things which is Google’s OS for IoT devices. There’s no official confirmation of the same. We’re just hoping it’ll be there to take on Amazon Echo’s lineup of smart displays.